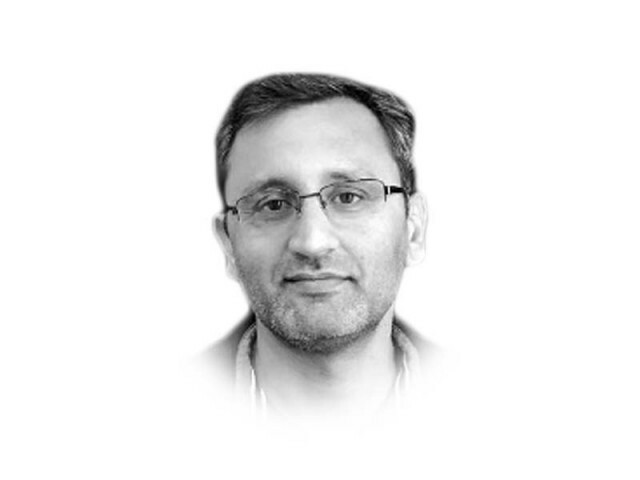 While the country is rightly celebrating the third consecutive democratic transition of government and our deeply-rooted pluralistic-political-culture, it is time to be cognisant of the fact that the goal of Naya Pakistan— reformed, just, and prosperous Pakistan dreamt by Imran Khan — cannot be achieved with half a century old planning system. The PTI government will soon be starting the planning process for shaping Naya Pakistan and they need to pay attention to restructuring the prevailing planning machinery, architecture and processes. Gone are the days when only the planning agencies within the public sector used to plan and shape the future of nations. This is now an inclusive and dynamic process. Many agents in their private and social capacity are actively forging the future that makes it an exciting time to be in this country. However, our public sector is too cornered and isolated now to obtain sufficient information about the grassroots-level changes to foresee the future and to plan accordingly. The pace of change in our society and the world around us is too fast to be grasped by a select group of bureaucrats and politicians. These are the reasons that five-year plans by the Planning Commission of Pakistan become insignificant the day those are unveiled. The public sector should now come forward with the role of an enabler to facilitate a variety of actors to shape a promising Pakistan. The so-called consultative meetings can achieve nothing by only inviting a narrow group of stakeholders. The spirit of designing and implementing a collective action lies in authority, control and partnerships. Public-sector officials mostly hold meetings with the private sector and other actors with strong lobbying influence. But I seldom see public officials’ participation in events organised by the private sector, academic, and/or civil society organisations aside from delivering a routine speech. Hence, the public sector is totally disconnected from the developments happening in society. More often than not, governments engage economists for economic planning without realising that economy is just one piece of the puzzle of socioeconomic development of a society. We need to have a home-grown socio-political process for developing and shaping a promising future of the country. Scientists, sociologists, political leaders, entrepreneurs, young voices, minorities, marginalised regions and many other segments of society need to come forward to make planning a dynamic process. It is fair to allow for difference of opinion and diversity, but there needs to be a consensus on broad direction and rules of engagements among the key agents involved in the game. The current bifurcation of sectors such as agriculture, industry and services — that economists and the public sector alike pursue in the development plans have become irrelevant. This scheme of understanding the economy and its growth is redundant for planning ahead. Education, public health, social justice, cities, science, entrepreneurship, 4th industrial revolution, regional peace, social cohesion and capacity of institutions are some of the key areas where we need to have a national dialogue. The starting point for planning Naya Pakistan will be to transform the planning apparatus in the country which was developed in 1960s and could not keep pace with the modern-day changes. The Federal Planning Commission should be transformed into a lean and efficient organisation undertaking approval and monitoring of only key mega projects having total allocations of over 300 billion or so. Below this limit, ministries and divisions should be empowered to undertake in-house approvals and monitoring. Most of the sectoral chiefs and planning staff currently working in the Planning Commission should be posted to the relevant line ministries. Ministries and divisions need to be empowered financially to develop strategic plans for their own operations. The Ministry of Interprovincial Coordination should be abolished, and the mandate of supporting the Council of Common Interests should be handed over to the transformed Planning Commission. Alongside monitoring mega projects and support to the CCI, provinces, the third pillar of the planning commission, should be to evolve as a place of higher wisdom and knowledge hub for Pakistan’s transformation. There is also a need to revive evaluation capacities of the Planning Commission to give better directions to our budgetary priorities and expenditures. This capacity has always been in the Planning Commission but was deliberately undermined so that no questions can be raised by professionals on budgetary decisions of the politicians in power. Finally, the Ministry of Planning, Development and Reforms should also be abolished, and the Planning Commission should work directly under the prime minister. It may be pertinent to mention that India has recently abolished its Planning Commission and established a lean and efficient organisation called The National Institute for Transforming India Aayog to function as a think tank. Sometime ago I contributed an article to this paper titled, ‘Time to Establish Ministry of Private Sector Facilitation’ in which it was proposed, “This ministry should be established by merging the Ministry of Commerce and Textile, Ministry of Industries and Production, Board of Investment, some attached departments of the Ministry of Information Technology and almost half of the Planning Commission.” The article also laid out the design and structure of the proposed ministry along with its suggested mandate and devolved public financial management system. If the country wants to promote private sector-led growth, we will have to move towards such a restructuring of the federal government. The provincial governments need to devolve planning and development mandates to cities. The process can be initiated from each city having a population of more than one million. The cities need to have their own autonomous and professional local governments that will take decisions in consultation with the local people according to their specific needs and circumstances. Each city of over one million population should have its own Economic Development Office functioning as the ‘Planning and Development Board’ at the city level. Some taxation powers in the services sector should also be devolved to these mega cities. Does Pakistan deserve Imran Khan?